When it comes to invoicing a client from your US subsidiary, you may find yourself wondering what information should be displayed on this invoice. There are indeed several considerations to take into account: 1/ regulations applying to your client and your company, 2/ US invoicing best practices to ease operations and back office processes, 3/ US invoicing standards that will help you “look like” an American business. At first, the easiest way seems to be to reproduce the invoice format you use back home. The internal process works well, and you have never had any issue in the past … “An invoice is an invoice after all! Let’s just translate the information into English and we’re good to go!”… Umhum, are you? The US administration does not provide companies with any specific guidance. In other words, you could technically send a word file or an email with your company’s name, your client’s name, and the amount to be paid. However, with such a process, you might not only miss some crucial information, but most of all, your clients will see you as “the foreigner” who fails at adapting his behavior to the US market. In other words, they will mentally translate this “strange invoice” into “hard to work with” & “time-consuming back-and-forth.” You may have the best product/service at the cheapest price on the market, but they will NOT take that risk if you cannot even implement such a basic document. Quite often in the USA, the motto is “be pragmatic.” Therefore, driven by an urge to ease the process, US companies only mention the information needed to get paid as quickly as possible on their invoices. In other words, they will show their clients just enough information for internal validation process, bookkeeping, and payment. Furthermore, the US tax administration requires clients to collect some information from their vendors once a year. For that purpose, a form called a “W9” is issued. Vendors send the same W9 form to all their clients with following information: Name, Address, Tax ID Number (EIN), and company structure (Inc., LLC, Partnership, etc.). In other words, you, as a vendor, will have to fill out a W9 form and send it to your clients. 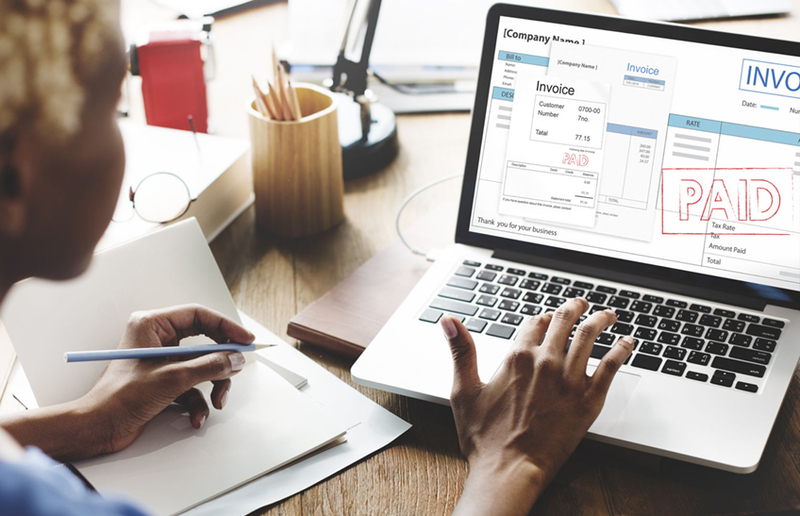 Although you can create an Excel template, the best practice is to use your accounting software or ERP to invoice your US clients. Most of them have modules to set up invoices with the right format. Furthermore, they will enable you to send your invoice directly from your accounting software to your client’s email address. Fees will depend on the tool you use: invoicing system, accounting software, or ERP. The timeline will depend on the information flow and the process you have already implemented in your organization. If all the information listed in 2. Minimum Requirements is easy to gather, then you can setup your invoice in few minutes.